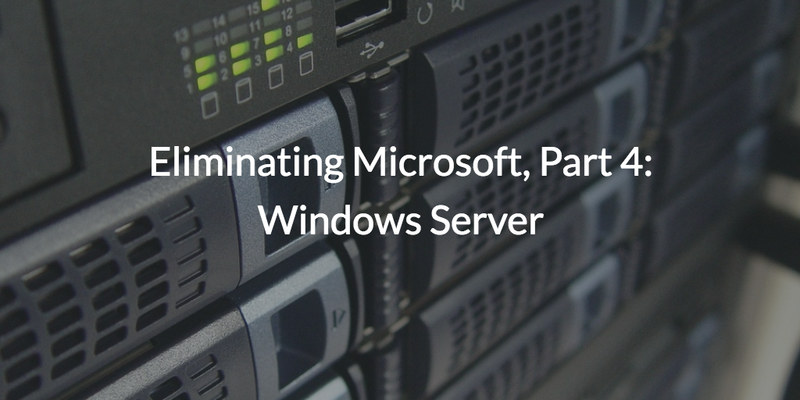 Part 4 of our five part series on how to eliminate Microsoft technology from your organization is focused on Windows Server. The Windows Server operating system and associated applications that come with Windows server are core solutions for a number of areas, including file storage, DHCP, DNS, and virtualization features, among others. Windows Server is a fully featured server for a wide variety of users for IT organizations. IT organizations leveraged Windows Server a great deal over the past two decades. For many IT admins, it was much easier to use a commercial product than to try to spin-up open-source solutions based on Linux. Windows was aimed at IT admins that didn’t want to take the time to do it themselves or for those that didn’t have enough experience with Linux. Also, many IT admins didn’t want to take the time and effort to use open-source solutions because there was often no support or an extra charge for support. 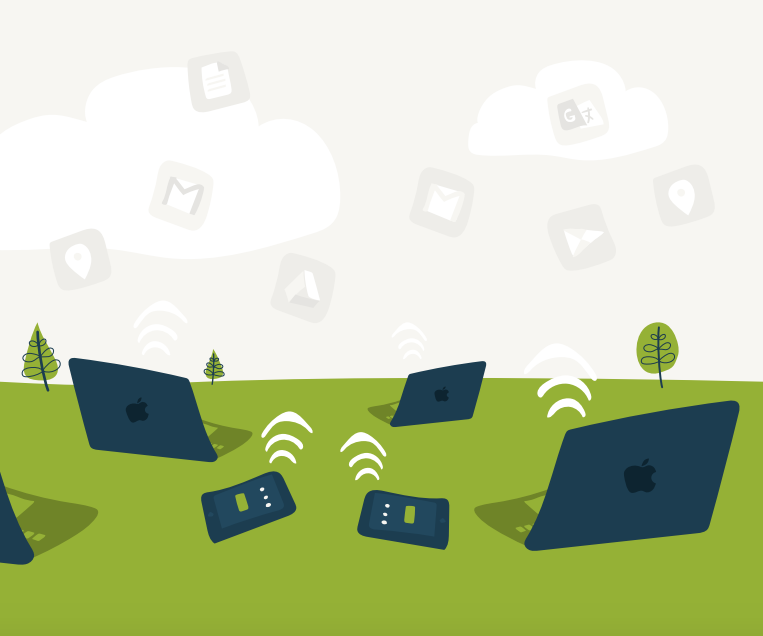 As the IT landscape started to shift towards cloud solutions, an interesting thing happened. Many of the services that were bundled inside Window Server were being offered as standalone cloud solutions. For example, file servers and storage were becoming a huge category. Many consumer services were available, and a number of business offerings soon emerged. DNS and DHCP services were often being subsumed by the wireless access point. The concept of the network and the domain was changing. Windows Server once was the entry point into the network with AD and domain controller capabilities, but that was starting to change. A single password entered on the Windows device would enable access to just about everything within the Windows network. Unfortunately for many IT admins, the world has shifted from Windows and wired networks to mixed-platform wireless networks. The concept of the domain controller run on a Windows Server doesn’t make as much sense as it did a decade ago. There are alternative uses for Windows Server being subsumed by other areas. Virtualization and containerization are two topics that have gained a great deal of attention. Microsoft is leveraging Windows Server to play in these spaces as well. These areas, too, are being replaced by significant open-source solutions, such as Xen and Docker. Microsoft is trying to hang on to its market share in the all-important server market. 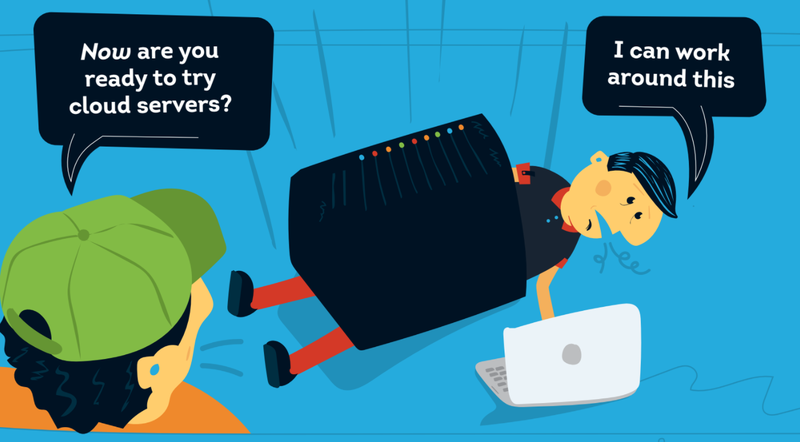 Owning the server market is a conduit to a number of other services and applications that sit on top of the server. In today’s environment, Linux is dominating the server marketplace. And the move to cloud services and web applications is shifting market share from Windows Server to other solutions. By eliminating Microsoft Windows Server, you are able to choose the best solutions for your organization. 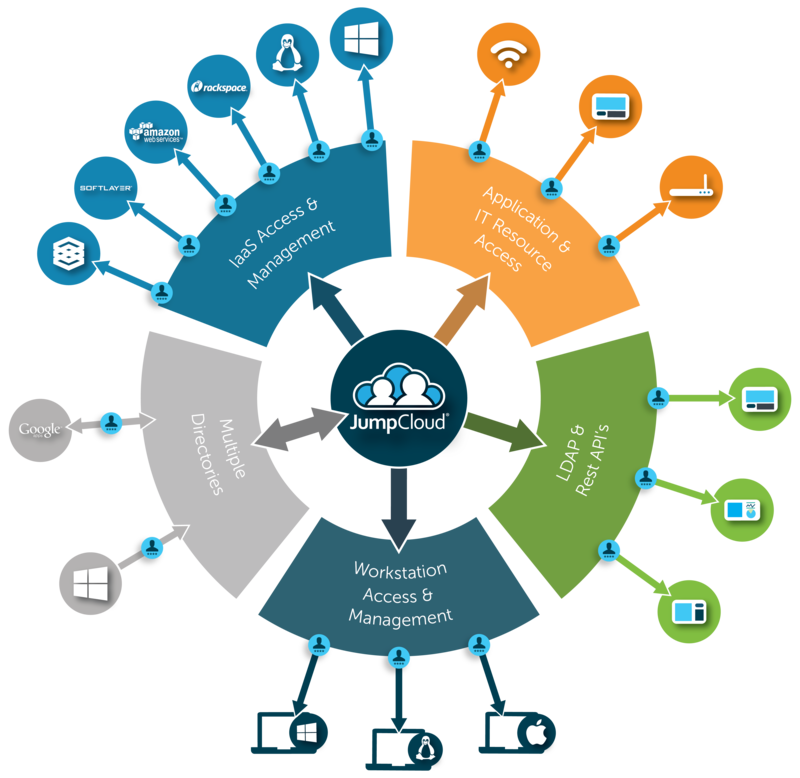 A cloud file storage platform creates more agility and flexibility for your organization. A modern Directory-as-a-Service® solution changes the game around directory services. No longer do you need to be locked into Windows and on-prem solutions. A cloud identity management solution breaks free of the shackles of Windows Server, thereby allowing you to replace Active Directory with a modern Identity-as-a-Service solution. There are a number of modern solutions available to you if you are interested in replacing Windows Server. Learn more about our identity service platform by dropping us a note. We also encourage you to start testing our cloud based directory by signing up for a free account. Your first ten users are free forever.